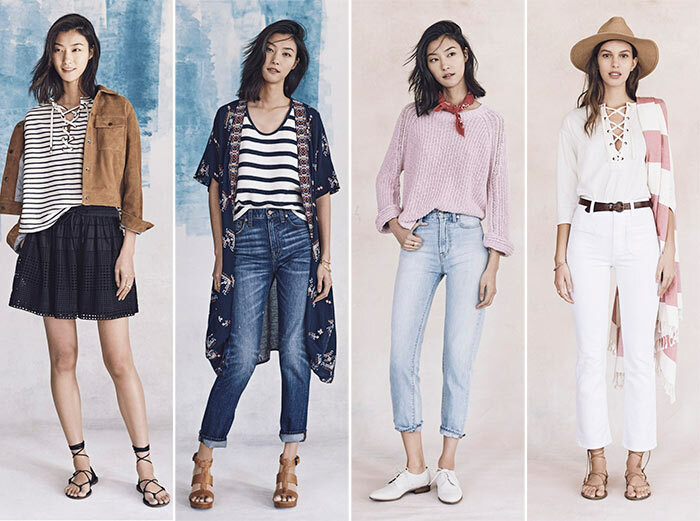 Madewell is a brand known for its easy spring styles and generous use of denim, so we had an idea of what to expect going into the brand’s spring 2016 ready-to-wear collection. New head of design Joyce Lee has been working for the company for seven years now, and has since worked up to this new position. 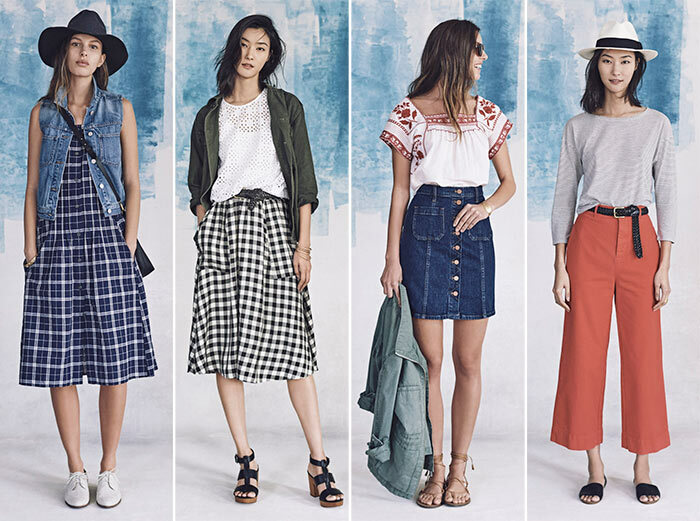 She clearly knows the brand, so there’s no surprise the designs are in classic Madewell style. 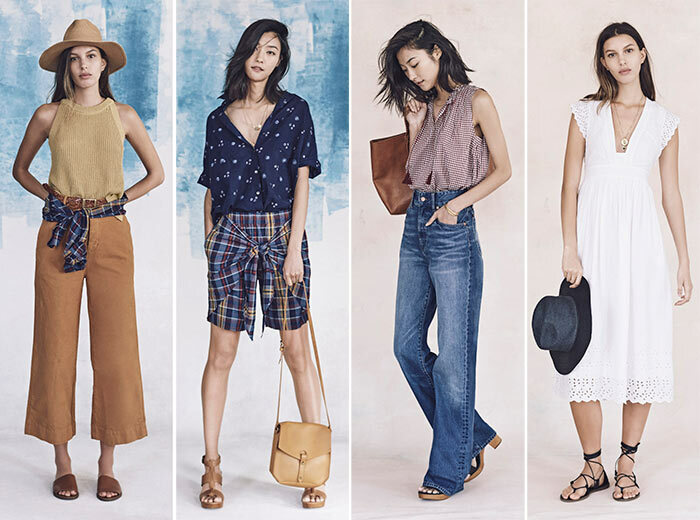 Feminine bohemian looks dominate the Madewell spring 2016 collection, in a simple flirty way. The color palette is just as easy as the garments themselves, so these clothes are made for the laid-back boho-chic girl, who can’t get enough of the denim trend. A particularly interesting dress caught my eye, because of its subtle innovation and unique perspective. In a dusty pink color, the dress is tea length and seems to resemble that of a modest vintage dress, but with a twist. The buttons in the back lead up to a sultry back cutout, relieving us of that worn-out design. Even though there’s not much changed about the overall design of this dress, there’s something that just screams newness, and it’s a truly beautiful effect. Other dresses were flirty and flouncy, and fell around the knee in a youthful way. The fabrics were breezy, making us already miss the warm days of spring and summer. But of course the real star pieces were the separates, especially the denim. The brand is famous for its use of denim, so of course the garments are masterfully done. When you know taste won’t be an issue, you can sit back and take in the fashion, and really appreciate the work that goes into tailoring denim. 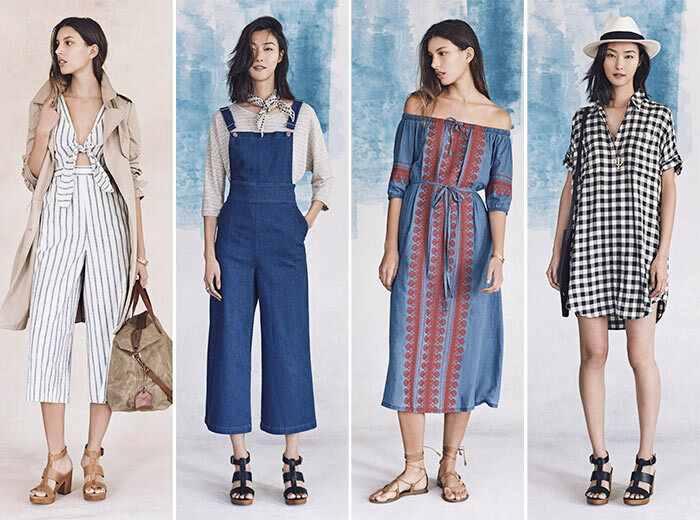 Skirts, a vest, capris, pants, a jacket, and overalls were created in the fabric, which is a trend that’s had its ups and downs in fashion, yet Madewell always seems to make it work. There’s something so old yet new about this whole collection. All of the silhouettes were taken from past trends, often designs not considered timeless or comeback trends, but the way they reconfigure them brings them to a whole new level. The pieces aren’t timeless, and seem a bit outdated even, but in a strange way it works for the modern world. That being said, the looks are very quirky at times. It will take a specific woman to want to pull them off, but the clothes still look great. Even if they aren’t quite your style, it’s easy to appreciate the fine detailing of each garment, which will look great walking the streets. 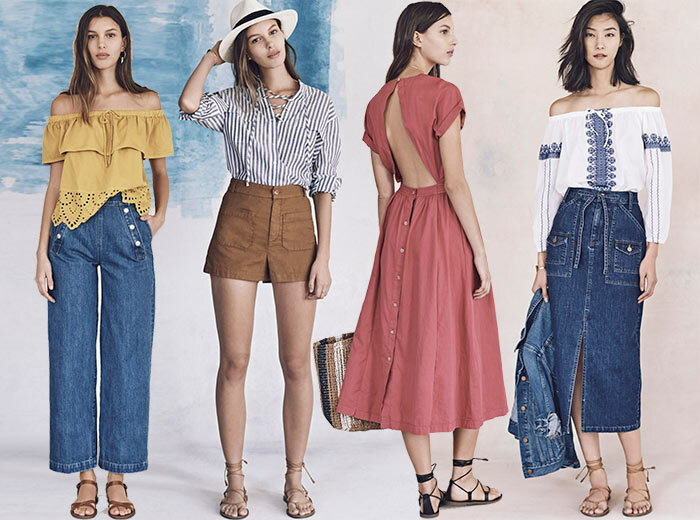 There’s no brand out there quite like Madewell, and it seems like it will be fine in the hands of Lee, who is already showing a great continuation and progression of the brand’s legacy.